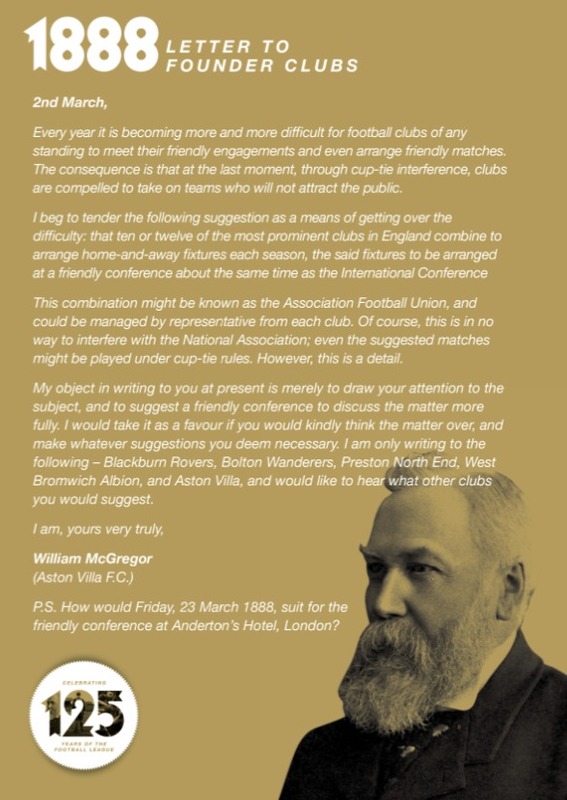 It’s a shame that Aston Villa’s late president William McGregor didn’t have the foresight to put a wee ‘small print’ clause in his declaration for the formation of a football league 125 years ago on March 2nd. Something like ‘AstonVilla FC are exempt from suffering relegation on a substantial anniversary year of the formation of the football league’, would have done nicely. Today marks the passing of 125 years since McGregor’s infamous letter (in full below), that set up world football as we know it. Unfortunately, Aston Villa don’t get to play on the anniversary day. Blame Sky TV for that. I wonder what McGregor would have made of them? 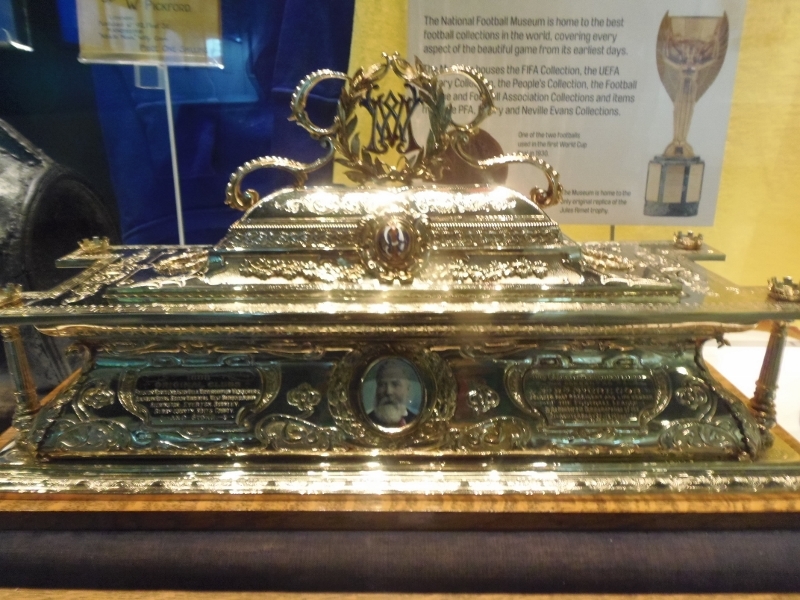 The silver casket containing the scroll that was granted to McGregor to celebrate the 21st anniversary of the football league can be found in the National Football Museum in Manchester. Check it out if you’re off to Old Trafford this season. Last season, Villa managed to escape the drop on the 30th anniversary of the club’s greatest triumph of winning the European Cup in 1982. A struggle that saw the club pretty much forget about that anniversary. Lets hope we can escape again on an another anniversary. That’s the problem with having a proud history, if the future isn’t bright, it can get embarrassing. The club only now acknowledging this 125th anniversary – on AVTV, a week after the event. Again the marketing department’s finger is way off the pulse and not intrinsically linked to the club.